Adam leads Incremental’s Data and AI business. He is passionate about developing data and AI solutions for organisations, helping them make sense of large quantities of data so they can drive results. As a data scientist Adam regularly speaks at technology meet ups and events. 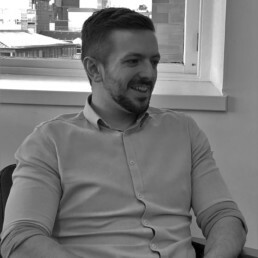 Adam’s background specialised in predictive modelling and taking large, complex data flows and turning them into robust, manageable pipelines – he frequently speaks around this topic. Adam first realised the power of machine learning during his Doctorate of Engineering at the University of Strathclyde. Prior to joining Incremental Group, Adam worked as a data scientist in a number of industries including online retail developing predictive models for some of the UK’s most recognisable online and high street retailers. Adam also spent time in insurance delivering complex pricing models and real-time optimisations.